Hot tubs have surely helped a lot of people for relaxation purposes. But in order to get the most out of your hot tub, you should be using it with care to help extend its life. There are actually lots of ways in which you can extend the life of your hot tub, and one of these ways is by buying the right hot tub cover. Though there have been many kinds of hot tub covers out there, you should be able to get the best for your unit because having the wrong cover could just ruin your hot tub, instead of protecting it. That is why it is always advisable to research first about the product that you are planning to buy before attacking the shop without even a little background. Giving your hot tub a cover is like giving yourself a blanket. Other customers say that having a hot tub cover is as important as having a hot tub itself. One of the first advantages of having a hot tub cover is that you can protect your hot tub from being dirty or from having unwanted materials falling to it while it is not in use. Lots of foreign materials can alter the mechanism of the hot tub, such as excessive dirt accumulating on the filters. If your hot tub is installed outside your house, then having a hot tub cover is surely needed. Unwanted materials can fall into that more often than what would have been had the hot tub was installed inside the house, because it would be more exposed to the outside factors such as the wind, rain, or even storm. But that is only the beginning, because what’s more problematic is that there could be wandering animals that could mess up with your relaxation hub. Birds could poop directly into it, cats or dogs could fall into it, and the last thing that you would want is to soak yourself in a warm, cozy water and look eye to eye with a frog. To eliminate all of that problems, then having a hot tub cover is the best solution. There are a lot of hot tub covers available for customers now. 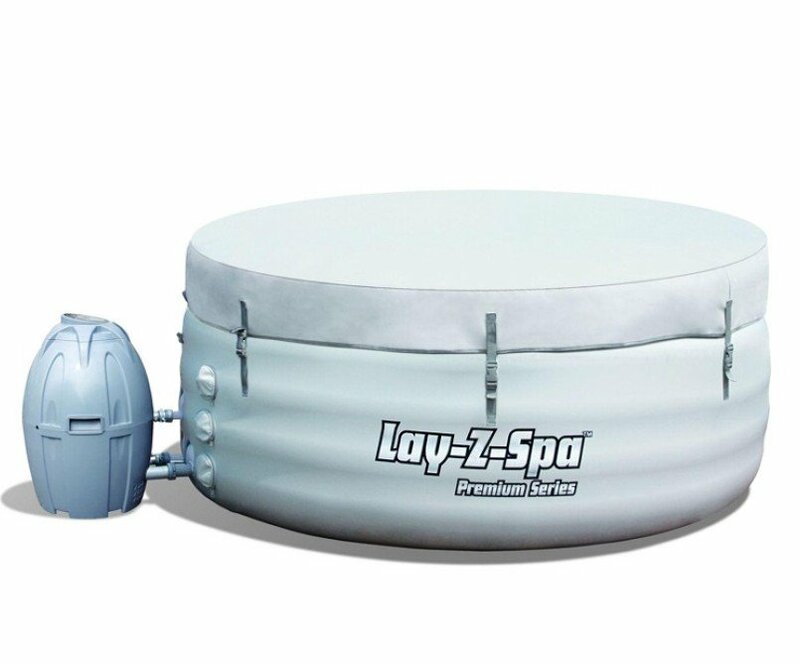 Most of the time, the hot tub companies are the first source of the hot tub covers, but now, other companies that specializes on the additional utilities are making hot tub covers too. As said a while ago, hot tub covers can help extend the life of the hot tubs, but of course, not all of the covers would be applicable for every type of hot tubs out there. To get the best hot tub cover, you should take note of some important considerations in choosing the hot tub cover for you. One of the first consideration is the type of the hot tub cover. A lot of covers are there are made up from plastic, vinyl, latex, and even leather. There are also other materials like the tarp, but if the hot tub that you would like to cover is installed outside, then you would need a stronger, more water-resistant cover. Ideally, the cover should be strong enough to prevent the introduction of dirt inside the hot tub, but it should not be very hard that the hot tub would have a dent because of it. Another considerations is the price of the cover. If you are on a tight budget, then you can look for cheap hot tub covers. They have been called that way not because of their cheap quality, but because of their relatively low price. Most of the time, as the quality of the hot tub cover goes up, the cost also increases. But to tell the truth, those cheap hot tub covers belong to the simplest ones, and they are actually good enough for use. By giving your hot tub a cover, like those cheap hot tub covers, you are actually making your step into extending the life of your hot tub. Proper use and maintenance of your hot tub will always be the best way to help it have a longer use, so get it your way and enjoy your relaxation time in your hot tub with the best cover that you can find.